For the first quarter of its fiscal year, Facebook reported that its net income nearly tripled and revenue grew 72 percent. For the quarter, Facebook reported revenue of $2.5 billion. This was an increase from the $1.46 billion reported in the same quarter the previous year. Facebook reported net income of $642 million, or 25 cents a share. This was a large increase from $219 million, or 9 cents a share, reported last year. The company had a profit of $885 million, or 34 cents a share, for the quarter, excluding certain expenses like stock-based compensation costs. This beat analysts’ expectations of a profit of 24 cents a share on revenue of $2.36 billion. 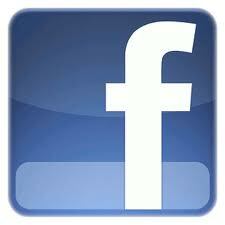 Facebook is currently the world’s largest social network with nearly 802 million people logging in on any given day. During the quarter, the company reported that it had 1.28 billion monthly users, most of them using mobile phones. The company has been gaining ground in mobile advertising against Google, its chief rival, over the past two years. Mobile was 59 percent of advertising revenue in the quarter, up from 30 percent a year ago. During a conference call with investors and Wall Street analysts, Mr. Zuckerberg faced questions about two jumbo acquisitions recently made by the company. Those acquisitions were WhatsApp, an instant-messaging service bought for $16 billion plus as much as $3 billion in future payouts, and Oculus VR, a developer of virtual-reality headsets purchased for $2 billion. In other Facebook news, the company’s chief financial officer, David Ebersman, who helped lead the company through its rocky initial public offering and first two years as a public company, has announced his intentions to resign from his position on June 1. Mr. Ebersman will be succeeded by Facebook’s vice president for corporate finance and business planning David Wehner.